Green People are already on my radar as I'm a fan of their organic children suncream, and their SPF face cream for me but I hadn't previously tried this shower cream. I really love the citrus scent - its subtle, zingy and fresh - I love fruity smells and it's full of skin kind ingredients! The ingredients make this a moisturising bath product and it didn't irritate sensitive skin - infact it boasts to be "Suitable for people who may be prone to eczema and psoriasis"
My little people love how many bubbles this bath and shower product can produce! - use sparingly! Cleans well - I didn't even need to scrub Blake - boy aged almost 3 - I read somewhere that boy = noise with dirt on it, or Maegan - girl - 10months and likes to rub buttery toast in her hair! 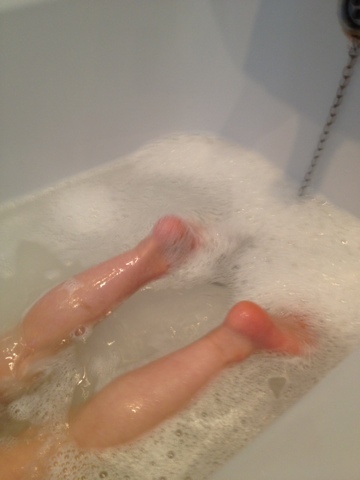 It's got a creamy consistency if using as shower gel instead of bubble bath. 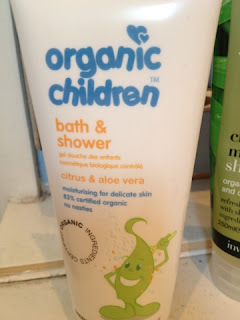 Simple, pure, kind, organic skin care for babies and children - "This natural body wash is made without SLS/SLES, Parabens, phthalates and artificial fragrances to bring you the purest shower gel that nature can offer" suitable for vegans / vegetarians. Green People's Organic Children collection includes gorgeous gift hampers, baby lotions, bath products, nappy balm and trial size bottles to name just a few elements of their great collect - including no scent products too! £7.75 for a lasting 200ml recyclable tube.